An extra wide tread for excellent tread life. A high strength steel casing to provide improved resistance to punctures. An interlocking block tread design for quiet running on tarmac surfaces. Wide open-tread grooves for superior traction in the wet and a resistance to aquaplaning. 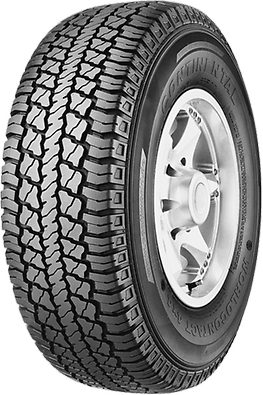 A good self-cleaning action of the tread for enhanced grip in mud and sandy conditions. Straight sidewalls for improved resistance to sidewall intrusions from protruding rocks, stumps or other threatening off-road situations. Shoulder ribs to deflect objects that can cause sidewall intrusions.